Appearance: A human with square features. Personality [optional]: Whatever his personality was before, though he should be fascinated by doors and Du-Ur now! 1. Build Houses and most importantly, DOORS! for your people! 2. Spread the love of DOORS and DU-UR! 3. Use the stone remnants of the mountain to build stuff! Appearance: Juuar is a monstrous grass snake with the same glowing coloration as Guar! Juuar takes the form of a giant grass snake with glowing iridescent scales. It slithers though the grasslands, leaving long trails of matted grass as it goes. At night, it's glow can be seen from a fair distance. It has a paralytic bite, which kills in three days. Every day a prayer is given to Guar, the poison is weakened and the bitten gets another day of life before the poison kills them. Juuar can shift between the size of a giant snake and normal grass snake while remaining equally strong. Personality [optional]: Juaar is driven. He handles responsibility well and is very creative and artistic. Juaar is also very duty driven, he has been given this task and knows that he plays a vital role in the universe as a result. He knows that he brings those willing, and those unwilling, into our faith because like himself and Guar, they are all part of the same pyramid, and it is his duty to care for that pyramid. 1) Seek out mortals and tell them of Guar, giving them the option to become worshipers or perish. 2) If they accept Guar, do not harm them and have them pray to and make sacrifices to Guar regularly. 3) If they do not accept Guar, bite them and otherwise hurt their holdings until they accept Guar. 4) Sacrifice those who do not accept Guar after being bitten to Guar. 5) Bring resources and good fortune to those who worship Guar. 6) Build and protect a civilization in the hex I occupy. Appearance: Small, with white and ginger fur. Personality [optional]: Jovial and playful, right up until someone tries messing with Sarkyran's stone. Then it's caerbannog all over again, only with a dog instead of a rabbit. Appearance: Mountain whale, but with a black brand in the shape of a ball of fire upon the forehead and upon its pseudopodia. 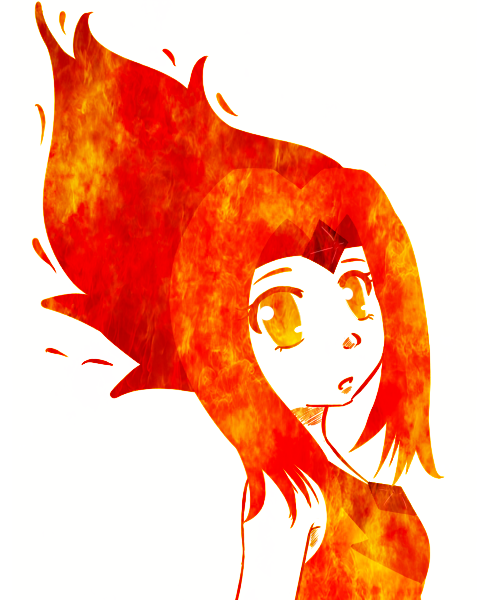 The Fire-marked also has a faint fiery aura in darkness. Personality: The Fire-marked is chosen as one with great internal fire and strength of spirit, embodying the virtues of bravery and cleverness. - Teach the living things to righteously worship Midan. - Bring the worshippers of Midan to greater heights of civilisation and ability. - Protect the worshippers of Midan from external harms. - Train the greatest of the living things to become preachers and heroes of Midan. - Wax greatly with progeny for the glory of Midan. - Invent and perform rituals and sacrifices for the veneration of Midan. Appearance: Originally a mundane human of the flatlands nourished by the riverbeds, this young female of brown skin and raven-dark hair carries herself with a gait of finery and poise--wearing colorful wrappings and adornments. Personality [optional]: Pretty much like Ernalda given this game is based on Glorantha A curious and sharp-witted individual who is patient to consider and highly-trusting, tempered by her spiritual resolve and insight or wisdom of the world despite her age. 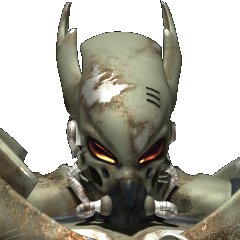 -Maintains an army of soulless husks. Appearance: A woman in the prime of her life. She has a single pink swirl on their face. The People: Oversee the growth of your people, in mind, body, and spirit, however they wish to do so. Teach them. Prayer: A shrine of wood and mandala, oversee the Miko and Priests in my worship, and see that a stable following is created, and prayers given. Festivals: Times for the Living to have fun and joy, and times for the Honor of the Dead. Festivals to give thanks to the crops, and the gods. Exploration: Both of Science and Land. See to it that you foster an innovative people. Donations: See to it that the donations of the people are put to good use for the shrine and the people themselves. You can take some for yourselves as well, so long as those two come first. I do not wish to see any grow fat on the suffering of the people. Freedom: The last of my Laws. One day, you may pass down the duty to another. If such a time comes, make sure that all is prosperous, and conduct yourself well. The Freedom of Yourself, as well as the People of your Land. Appearance: A large eagle with rune-engraved pebbles as its eyes (the runes glow prismatically), and its left wing, like Metalhand’s left arm, is formed of an engraved twisting combination of metal and stone. -Successful father of many chicks. Personality [optional]: Aea is a content and likeable women. Appearance: A human-sized stone golem, consisting of smooth flint. Appearance-wise, They are built to look non-threatening, so as not to instill fear in the humans upon sight. Gifted a large volume of knowledge of relevance to the humans, Ortile not only possesses knowledge but has the ability to demonstrate said knowledge, if to further help his role as a teacher. 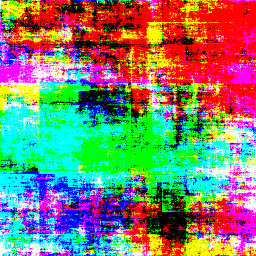 Is painted in a variety of hues. Personality: Calm, Kind, Patient & Mentorly. -Teach the tribes all that you know, in exchange for recognising the gifts provided to them by Sarkyran (including himself) and making small offerings to Sarkyran as thanks. -Favour no one individual tribe or student, and ensure all learn equally and apply that knowledge. -Focused: Ortile doesn't end a lesson until it is finished, and the lesson is finished only when the students understand the subject well. Appearance: A variety of craftsman’s tools, all with bronze handles and silver functional sections. When not in use, they lie on the ground in the Maker’s Place; when in use, the float around Metalhand, the needed tool always moving directly to his hand. Purpose: Reduces the cost of making Accoutrements by 1CP. Appearance: A simple chain of glowing light which when placed around an animal or mortal, permanently breaks their will, rendering them docile and obedient. Purpose: Make animal domestication easier, potentially slaves as well. Appearance: A crown of glowing metal. Small bits of light rise up off of it and twinkle before disappearing. Purpose: Removes the effect of Chain of Docility when placed on a mortal. Appearance: A long rod of some unidentifiable material, thin and deadly sharp. It continually burns and smolders from one end while growing equally from the other. Purpose: It is nothing less than a god's own weapon, offered to the Fire-marked against the bloody days to come. It improves the holder's PS, presumably. Appearance: It is a wand of Ebony. Bearing marks of lightning on it's sides, and with a cat's head on it's pommel. Purpose: It contains the Powers of Destruction, for later use. Purpose: Beat up old things! Appearance: It's a staff with rings attached around into it's central ring. It's also made of this Iron Stuff, so... Guess you could bash something with it..
Purpose:The Holder's own ability to Deduce things from Preexisting Knowledge will improve over time. And the smarter the wielder, the more effective the boosts. The ability to make connections from what you already know. This improvement is permanent, even if they lose/let go of the staff. Purpose: Allows the wearer to more easily find groups or individuals they are searching for. Appearance: A bizarre tool of unidentifiable metal, looking like something that might have resulted if the Swiss Army had gotten into the agriculture business. It is shovel and hoe and mattock and rake and dibber and sickle and many more all at once, as well as axe and pick for versatility. Purpose: Grants its holder mastery over earth, at least as much mastery as an Average-tier accoutrement can afford. Effectively multiplies production of agriculture, woodcutting, and mining. Any part of it could in principle be copied to make a regular tool, though without a magic bonus. 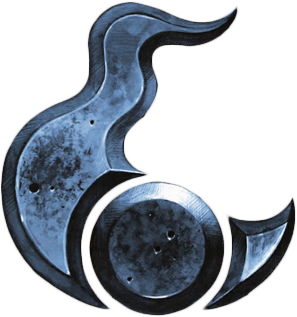 Appearance: An obsidian scepter, with a pattern of fire along it's sides, and a carving of a city ablaze. Inside the city, is a statue, the statue of Vulpes Grande. The only survivor. The head of the scepter has the head of a Serval. Purpose: The Sinister Manus can contain three Powers of Destruction. Appearance: An ivory scepter, with a pattern of plants along it's sides, and a carving of a desert sprouting plants. Inside the desert, is a statue, the statue of Vulpes Grande. The originator of life. The head of the scepter has the head of a Lizard. Purpose: The Dexter Manus can contain three Powers of Creation. Appearance: There is the same collection of tools as in the Maker’s Tools, but they have granite handles and steel heads. Each one has a small rivulet on it. Purpose: Any mortal using these Tools will not find craftsmanship easier for them, but will rather find they are better able to learn to do it properly. Additionally, the bearer(s) are more able to think of things to create. Finally, the rivulets carry small amounts of blood from the user(s), disappearing when it reaches the steel; this blood is imbued into the crafted items, and acts as a sacrifice to Metalhand. The user(s) never feel anything worse than a brief and slight prick, and the Tools never take enough blood to affect the day-to-day lives of the user(s). Appearance: A gigantic, monololithic marble door without frame nor hinges. No longer able to be opened or closed, its sole purpose is to smash puny enemies of Du-Ur, be they spiritual, physical, animate or inanimate. Its size changes depending on the hamminess of its user. -Smash things into Du-Ur's vision! Things smashed with UNHINGED will be unmade and altered in a way that pleases Du-Ur, or its non-Du-Ur user if No Hinge somehow changes user. Appearance: Takes the form of a thin circlet during new moons, a crown during half moons, and a helmet during full moons. Eclipses may result in other forms as well. Purpose: Those that listen to the Stones' Melody have their own intelligence increased, if only very slowly. This is Permanent. The Melody can only increase intelligence by a base amount for each person, and they must be sapient to receive the effect. Name: The Stone of Eternal Winds. Purpose: No matter the situation, the winds always blow in this hex. It's quite breezy around here. The air will never be calm. 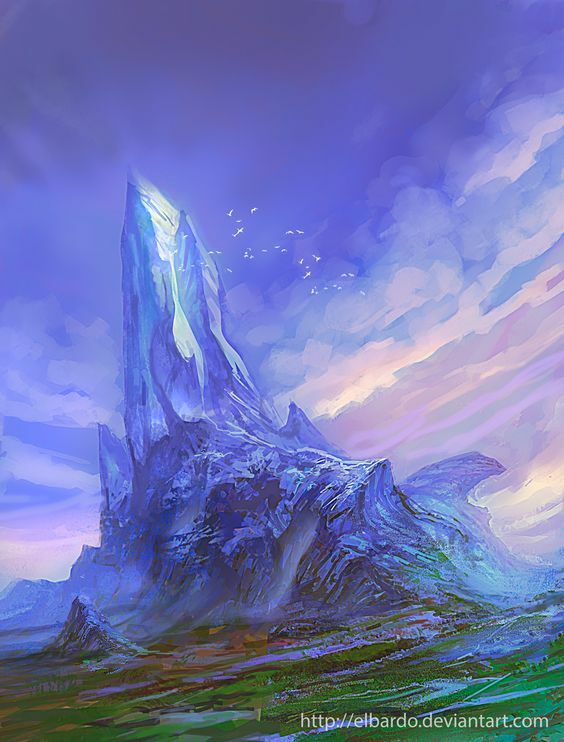 Appearance: A giant blue crystal deposit growing from the plains in Guar's hex. It shines a continous beam of light high into the sky above the mountains, illuminating the sky and being visible for vast distances. Description: In its adult state, appearing like a bean-pod-plant that is both soft and fibrous, and yet very adaptable, the Lightroot can house plants of various origins within it, able to germinate seeds and giving non-magical conditions appropriate to the plant (unless the plant by itself is magical), able to feed both herbivore and carnivore while being resilient and durable in various climates, from cold to hot environments (although growth is slowed, the Lightroot can in itself live in such conditions if cultured and taken care of properly). It produces far more nutrients than needed, and is technically non-invasive due to being both independent and mutual in its relations with biological organisms--as shown by its bioluminescent and fragrant nature, copying the fragrance of the plants grown within them (to ward against pest insects or protect itself), while its bioluminescence provides signalling between lightroots to bond and grow with each other alongside being a form of messaging. It is a very empathic species, and grows better in environments of peace given its creator's essence within it. It can be cooked by itself or with the produce of plants within it to act as rations or long-voyage food sources, even in its raw form. Lightroots are said to grow best when in the company of sapience, as compared to growth in the wilderness. Appearance: Lightroot appears to be a succulent tuber, or a tube-like plant, with or without roots (the fine magical eye would distinguish very minuscule 'hairs' growing on its surface, which act as its source of locomotion), able to subsist in humid to arid environments with differing textures depending on the climate and atmosphere; it can survive submerged underwater and can thrive in river environments, but bundles up and floats much like underwater kelp or seaweed rooted to the depths or floating midwater--it can not thrive in deep waters and merely requires air to produce for itself, with or without sunlight (given the many different colorations that are continuous to the biome it grows in). Lightroots react in a symbiotic relationship towards sapients, and are capable of very minor yet concise communications with those around them, producing the satiating need of the sapient if both would spend a long time around each other. Small pores or water sacs were used as evidence that they could even become a source of potable water rather than satiation, as different forms of lightroot exist--and different varieties can be found relying on each other in extreme cases in order to survive. Appearance: Humanoid, with four arms and blue skin. Their teeth are sharp and pointed. their bodies are hairless. They have a blind third eye in the center of their forehead. -loose bands gathered around Basderieen's oasis. Sometimes feud. -Fire-Marked>Fire-Marked's Offspring>Valued Tribe Members>common people of Fire-Marked's Tribe>Vassal peoples. -tribal hegemony lead by Fire-Marked's tribe with some vassal tribes. -tight-knit tribe of related clans. -loose band of related tribes and clans or otherwise Law-abiding. Sometimes fight one another. -loose band of related tribes and clans. Often fight one another. I need more things to join, Send me a request if you need players for something. I came for the games and stayed for the lack of sanity. Vulpes Grande is not pleased with the lack of local foxes. But after consulting their helper, found that they do pass by. They just need a reason to stay. "Loath as I am to provide ease, I will provide food. With roots burrowing deep, and juicy plump berries. But they shall be scattered. Only the observant shall feast." Vulpes Grande alters some of the Shrubs in the hex, into Blood-berry Bushes. Using 2 CP. Appearance: These bushes mostly resemble the Shrubs of the desert, blending in with them. But the leaves have crimson edges. Around their base, grows the Blood-berries. The Blood-berries have a black exterior, but inside, it's red as blood. They are very juicy, so when you eat them, it is difficult to not have it's juice leaking from your mouth. They can support such a juicy harvest due to it's roots burrowing deep underground, reaching reservoirs beneath. These Blood-berries are necessary for new plants to have the requisite water to burrow far enough to sustain itself. Otherwise it'd have to be watered constantly, until it roots reach deep enough. Traits: Deep rooted, Slow initial growth, Juicy berries, Desert plant, Almost identical to common plant. True to their word, Vulpes Grande scatters the Blood-berry Bushes around the hex. Them blending well in with the Shrubs around the place. "Now, I shall wait. Or perhaps provoke." Vulpes Grande tries sending a dream once more. But this time, he's primarily targeting the foxes. They will dream of a fox that is thirsty and hungry. It finds Vulpes Grande's domain, and here, they look around, until they see a peculiar plant, the Blood-berry Bush, from which they will feast. It's hunger and thirst now sated, it lies down. But there is a shadow. It looks back, to see Vulpes Grande, providing it shadow. But Vulpes Grande doesn't speak. Then the dream ends. With nothing else to spend it on, Vulpes Grande stores 1 CP and 2 DP. Reserve: 1/3 CP, 2/4 DP. Edit: Correcting some mistakes I made when I first typed it. I was tired. I like cats, they're smart and mysterious, and their kittens adorable. 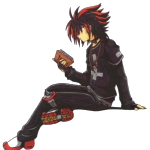 I'm a Forum Demon, expect to find me lurking, and knowing random details. Sarkyran awoke in delight as his followers had seemingly cast off pointless violence against one another. As ever though, there was more work to be done, and thus did Sarkyran labour to improve the lot of his worshippers and followers. Action 1: First did Sarkyran teach his followers how to make axes from copper and work wood effectively and efficiently. Being in one of the few forests of the world meant this would be particularly beneficial to his followers. Though Sarkyran cautions his followers about taking too much wood, and teaches them to respect the forest, and to plant new trees for the ones they take. Action 2: Then did Sarkyran provide picks and chisels, and taught his followers the art of stonemasonry. The sandstone in the local area is a strong, resilient material to build lasting constructions out of, and a useful material for grinding grain into flour and to sharpen blades. Appearance: A short, stocky golem of steel given a feminine anthropoid form. Personality: A calm, stoic individual. -Ensure peace and justice prevail amongst Sarkyran's followers. -Establish and maintain a priesthood dedicated to Sarkyran. Judge of Character: Imbued with the ability to see into the souls of mortals, Jus can see the personality of sapient mortals brought before them. Shattered Statue awoke from his(her?) slumber, irritated that it had not managed to catch up with the rogue elephant herd before being snatched from awakening. Still it felt the presence of its worshippers thrumming within the fragments of her (his?) mind, and was content with them, though those who would prey upon those who worshipped the Shattered ignited a burning rage within the Statue. Something must be done. Action 1 [1 CP]: The Shattered Statue searches among his(her?) worshippers' children for one who is most pious and loyal to the Statue in its deeds, words and thoughts. This child shall then become the third of the Statue's disciples. The Shattered Statue appears to the child within a dream to proclaim such, and promises a great boon for the loyal. "Serve me, and serve my people well, and all shall prosper under the coils of I." Appearance: A darkskinned human youth with eyes of gleaming bronze and a smile full of sharp teeth. Personality [optional]: Murdus finds herself loving statues, and wishing to make more of them. She reacts aggressively to threats, and wishes to destroy them. 1. Thou shalt spread the worship of the Shattered Statue among the many peoples far and wide, and maintain among the people the continued worship towards him(her?). 2. Thou shalt defend the faithful worshippers of the Shattered Statue from attack and kidnapping and other harm. 3. Blood shalt be spilt to the glory of the Shattered Statue, the sacrifice of lives. Blood and souls are demanded by the Hungry Statue, and must be given. - Murdus has an innate knack for sculpting various raw materials into exquisite sculptures. - Murdus can eat the flesh of humans and elephants and vomit it up as a mercury like substance that can be sculpted into statues by the power of her mind before hardening into a solid mercury shape. Action 2 [5 DP, 1 CP]: The Shattered observes the behaviour of Murdus for a month, and if it pleases him(her? ), implants within the chest of Murdus a new heart of beating soulbronze, a heart of power so that she might have the means to enact the will of the Statue. If Murdus does not please the Statue, she(he?) implants the heart in his(her?) own floating partial torso cavity instead. Appearance: A beating heart of bronze that replaces the existing heart of the wielder. It pumps bronze-coloured bronze blood instead of red iron blood. Purpose: The Bronze heart increases it's wielder's W by 1 (the CP), and increases their PS by 4 and their SS by 1. Action 3: Shattered Statue continues tracking the runaway elephant herd, and if he should find them, wrestles them into submission. 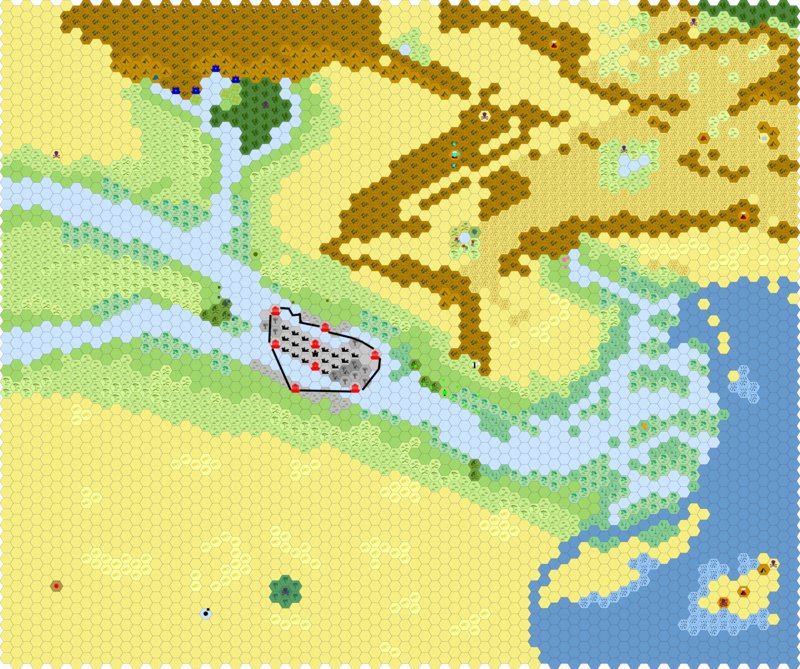 I carve out an area connected to my oasis over the tile to the north. Next I spread oasis reed around it, finally I hunt down my tribals once more and bestow an Accoutrement to them before once more wandering to the center of the oasis. Appearance: long inch think bamboo like plants that grow full of small seeds- soft and edible while wet, they become quite hard and water resistant when dried. Appearance: a circular Fist sized stone with the engraven image of Basderieen's face on one side- and an image of his face on the other. its attached to a chain of stone links. > Purposefully make a name for yourself--spread knowledge about me and my deeds, and that I can be worshipped in good-will and well-being of others, and make the best out of your talents; you are not limited to your own attributes and personality right now, challenge yourself! > That power in the NW? Travel there with the help of your lightroot, find out the power present and then spread my word there and work with law to help a good relationship! > Don't forget that the law is used for fairness in treatment of others for order. If you're going to use those husks, task them well. > Promise her more tools in order to grow the potential of life, to understand death, or to communicate and increase accessibility. >>>*TRADE for knowledge. May Writings be one of your people and to be developed among yourselves, but trade for knowledge in what would better those around you. Keep record and track what is needed, and tell this to me later on. >> Put lightroot in my temple, guard it and guide it well. > ...If my talks weren't obvious, do try and experiment with what you know--try making better things, or finding different methods, exchange writings with the tribes, but above all, conduce peace that you all will be under one multicultural-banner. Appearance: A long staff, simple in appearance, of white-washed wood that contains the current map of the stars and the wielder's known lands. One of its ends can fit an implement, for weaponry or for tool work, and the other is of a more magical-wrought element, able to sharpen to a tip or be as blunt as any soft material, encased in a covering of bronze which can be removed and attached aside. In certain lights of the day or night, specific runes (or writings/pictograms) can be sensed along its shaft, detailing its purpose to the reader, only if they choose to understand--and biased towards benevolent uses. Power lies in the multitude--your thoughts are of many, and those around you. If you need a tool, it's a tool. If you need a weapon, it's a weapon. If you need to learn, it's a teacher. If you need vision, it shall grant it. If you need light, aim towards the sky. Your thoughts can be shared with others without voice. Think and it may be. Protect and it shall be. Purpose: This can be used to project communication to and from the core thoughts of others, to be able to see the issues of the mind (and generally aid in law or decision making), as well as being able to null magic to a certain extent--moreso in projecting and guiding the flows of magic around. Much of the accoutrement's capabilities can be limited to the power of the wielder. A(n endless) banner of sorts can be attached to it, which will project the wielder's intent, carrying the names and meanings of the peoples and entities upon it, alongside passively allowing the wielder to affect their surroundings--based on their personality. The magic-wrought end is used for nulling magic or projecting a shield of translucent armor around a certain zone, of the self or around others, alongside being used for writing and transmitting ideas of the mind, and can be angled into the air to specify a receiver, that they may obtain the message thought about specifically in spite of the distance, or draw in the medium pictures or words which are present and intentfully chosen to be communicated from within the mind. It can be thrown like a javelin, emitting a boom of light when it impacts a target or when thrown, or be as silent as the dead of night--depending on the choice of the wielder--generally invoking a sense of calm and peacefulness in all of who hear or see it (or the banner), and upon impact if thrown, grants vision of the area as if the wielder was present at the point of impact for a brief moment. It is the wielder's choice for the accoutrement to return to their hands or not, upon throwing, alongside being very precise in its travel and aim, being able to shift between spirit and physical realm in transport. It may be used to easily traverse rough natural terrain, or protect the wielder and those around them when in inimical or magical terrain. It can be used to create very minor miracles or to bolster the wielder's workings with what else they do or attempt to perform. 2nd action: Teach Writing and Talk to the tribes! Tala observed the law and noticed how it was lacking, with this--she calmly issued to GATHER, that even animals who were warned not to trespass were spared from any punishment. She also put the word 'Memory' in her Champion's pool of tgought and associated it with the mind exploring previous happenings that appear present in the now, and upon being asked about writing implements--Tala noted her next teaching of TRADE (and also noted that there is chalk and other minerals nearby--speaking that she trusts the people to come up with reliable ways for recording and writing, otherwise, to come to her in 50 years about requests and updates). Tala noted the passage of time and pondered upon the dying reality of this differential timespan, and that whatever needed to be done needed to be taught for the living here to grow and understand. Thus she spoke in depth about abstracted concepts--in concrete notions, teaching the importance of riddles, proverbs, teachings, much like the backings of law, and consequences as well as foresight. She focused into the importance of understanding exchange, of giving and taking, and to always remember the importance of finite resources being used and to treat such with respect (basically teaching trade) and mentioned it was important to keep some secrets as unique to yourself--especially this, as there are those who only keep secrets but never exchange them. The importance of trading for knowledge rather than materials (as she is able to give materials), and the importance of culture, community, well-being, and connectivity (of animals and people rather than the 'kill these herbivors because they eat lightroot'). She illustrated by expounding on the lightroot issue through her champion and the importance for diversifying its plantations--to teach the consequence of how horrible it would be to just devolve all they've learned if it died out entirely; hence the importance of improving agriculture, and making many different and useful traits using it--even making hardier and better lightroot suited to certain environments, as a major allegory of exchange. Trade was also a manner of exchange they did orally--how they spoke to each other in everyday life, of how words meant meanings, and the ways people said things made better or worse of the situation, of how feuds developed because of how beliefs are formed of how they thought things were. Tala basically mentions the importance of understanding and being open to understanding even if one was used to certain ways. In this long talk, she mentioned the importance of building upon knowledge and working with materials, to seek out those who knew how to do so and to trade openly with them--that lightroot can be used to transport needed nourishments and foods, and how Trade was integral in exchange with the environment and other life (because they were already doing it). She very much hinted that they should learn how to work with lightroot and diversify, lest they stagnate and die. Noting the law, it was important for tribes to openly exchange rather than feud on who marries whom--that this insight of emotion made into significant visible things helped adjust that, or even teach that for people to grow. With knowing trade and language, she told them all that she hoped this would help them not be cheated in turn--for she expressed her understanding that those who kept secrets had good reasons to do so, and instead giving better options and advances of communication was the better path. She also corrected the people for not using the lightroot well and expounded upon it and its potential! It can give aplenty--use it to diversify plants that you don't need to HATE the herbivores or the carnivores! Appearance: A bow of Glass and Steel, it's string and arrows that of the spirit. Purpose: Boosts SS by 3. Bound to Fu, and the wielder chosen by Fu. Fu can revoke this permission, bringing the Bow back to Fu. Always the correct size, and can be used on the physical plane to initiate spirit combat, it's arrows dealing damage according to Spirit Realm rules. Created and given to my Miko. For Diplomacy seems to have broken down. Traits: Mortal Traits in Life and Death. Kind Soul: With Kindness comes Empathy. She can gather the Ego of all her allies to herself to give her a boost to it, and all the Spiritual Strength of her allies to increase her Spiritual Strength. This is the Power of Empathy, of Bonds. Miko of the Lands: Her power reaches across the land, through the earth, allowing her to communicate through the people's dreams. She can manipulate the earth to create things like bricks and fortifications, altering the terrain. This also let's her form a new human bodxy from the land if the old is dead/out of commission. Fu cannot do this in the heat of combat. Du-Ur sensed, saw, and knew. And Du-Ur was pleased. Asteriskasteriskasterisk had made a wonderful job, becoming a true herald of Doors! Du-Ur felt great happiness, knowing Asteriskasteriskasterisk had opened the way to many doors. Sensing the powerful spirit of Oasis, Du-Ur felt something had to be done. Looking at UNHINGED, he knew what could be done. Smash time! "BY TERRIFYING ASTERISKASTERISKASTERISK, THIS SPIRIT HAS UNWITTINGLY OFFENDED DOORS AND DU-UR!!! IT IS HIGH TIME DU-UR SHOWS THIS SPIRIT THE DOOR, FIGURATIVELY AND PROPERLY!!!" Action 1: Movement Du-Ur moves to the powerful spirit, UNHINGED with him! Asteriskasteriskasterisk feels something emptying from his soul. He can't say why, but he suddenly begins weeping. The Midan would like to ingress before deciding what to do.